Sally Engle Merry is a faculty director of the Center for Human Rights and Global Justice. She is Silver Professor of Anthropology at New York University, former director of the Law and Society Program, and an affiliated faculty member of the NYU School of Law. She moved to NYU in 2005 after teaching at Wellesley College, where she was Marion Butler McLean Professor in the History of Ideas in the Department of Anthropology. Sally’s research on human rights examines the process by which human rights ideas are interpreted in vernacular terms that are relevant to everyday life in communities around the world. Her specialty is the anthropology of law, and she has done research on courts and disputing in the USA, on law and American colonialism in Hawai’i, on gender violence and human rights, and on the role of new information technologies for human rights monitoring. She is the author of five books and editor of three, as well as the author of over one hundred articles and reviews. 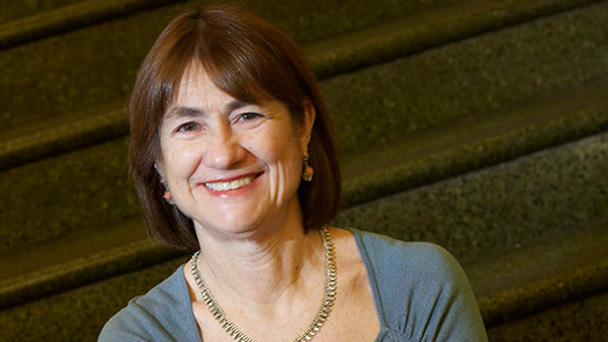 In 2007 Sally received the Kalven Prize of the Law and Society Association, an award that recognizes a significant a body of scholarship in the field. In 2010, she was awarded the J.I. Staley Prize from the School of Advanced Research for Human Rights and Gender Violence, an award “for a book that exemplifies outstanding scholarship and writing in anthropology.” In 2002 she received the J. Willard Hurst Prize from the Law and Society Association for her book, Colonizing Hawai’i: The Cultural Power of Law (Princeton Univ. Press, 2000). She received the Presidential Award from the American Anthropological Association in 2003 and 2008. In addition to Colonizing Hawai’i, her books are Human Rights Transformation in Practice (University of Pennsylvania Press, 2018), Human Rights and Gender Violence: Translating International Law into Local Justice (University of Chicago Press, 2006), Gender Violence: A Cultural Perspective (Blackwells, 2009), Getting Justice and Getting Even: Legal Consciousness among Working Class Americans (University of Chicago Press, 1990), and Urban Danger: Life in a Neighborhood of Strangers (Temple University Press, 1981). She has edited The Practice of Human Rights: Tracking Law between the Local and the Global (co-edited with Mark Goodale; Cambridge University Press, 2007), Law and Empire in the Pacific: Hawai’i and Fiji (co-edited with Donald Brenneis, School of American Research Press, 2004), and The Possibility of Popular Justice: A Case Study of American Community Mediation (co-edited with Neal Milner, Univ. of Michigan Press, 1993). Sally is past-president of the Law and Society Association and the Association for Political and Legal Anthropology and served on the executive boards of the American Anthropological Association and the Law and Society Association. She is an editor of the Law and Society series of Cambridge University Press and currently a member of the editorial boards of The Law and Society Review, American Ethnologist, and Polar: Political and Legal Anthropology Review as well as nine other journals. She has received ten research grants from the National Science Foundation as well as grants from the National Endowment for the Humanities and the Wenner Gren Foundation for anthropological research. Sally received her BA from Wellesley College, MA from Yale University, and PhD from Brandeis University. She was a fellow at the Bunting Institute at Radcliffe 1994/95, the American Bar Foundation in 1999, the Carr Center for Human Rights Policy at the Kennedy School at Harvard in 2001/02, and the Human Rights Program of the Harvard Law School in 2010/11. She has lectured extensively in the US and internationally, especially in Europe, South Asia, the Pacific, and Australia.